QuickPro Locksmtih offers emergency Building Lockout in Chamblee, GA and surrounding areas. Getting locked out of your own property can be very frustrating. Get the help you need fast by calling QuickPro. 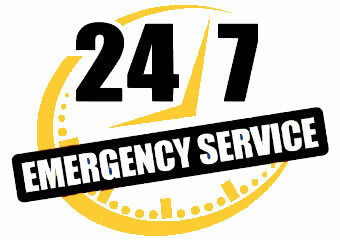 We provide 24 hour emergency lockout service, so you can get help with your Chamblee building lockout right away. Our mobile locksmiths will arrive at your location with all the tools needed to get you back inside as soon as possible. We provide a variety of services related to building lockout in Chamblee, Georgia including lockout service, key retrieval, key duplication, lock repair and new high security or keyless entry lock installations. Whether you’re suffering from a residential or commercial lockout Chamblee residents, the dependable locksmiths at QuickPro Locksmith are always ready to come to the rescue. Call our office today for more information or to get professional assistance with your building lockout in Chamblee, GA or the surrounding metro Atlanta area. Are You Struggling with a Residential Building Lockout in Chamblee, Georgia? Is your teenager locked out of the house? Has a family member misplaced the key to your shed? No matter what reason you’re experiencing a Chamblee building lockout, the team at QuickPro Locksmith has what it takes to get the job done. We understand that being locked out of your own home can put you in a difficult situation, that’s why our mobile technicians will arrive at your home with all the tools it takes to fix your current situation and help prevent future occurrences. In addition to emergency lockout assistance, we can also provide key duplications, rekey services and keyless entry lock installations for Atlanta area homeowners. Need an Expert Locksmith for Your Commercial Lockout Chamblee Business Owners? Being locked out of your own business is a nightmare. No one wants the doors closed when customers or clients begin to arrive. Not only will such an event cause you to lose money, but it might even undermine confidence in your company. The experts at QuickPro Locksmith know how important it is for you to be operating at full capacity as soon as possible. That’s why our highly trained commercial locksmiths in Chamblee will work hard to provide a fast, effective and affordable lockout service for your business. Are you stressing out about a commercial lockout Chamblee business owner? Then give the team at QuickPro Locksmith a call, and we’ll help you get the doors open to the public right away. Chamblee building lockout emergencies sometimes occur at extremely inconvenient times. During these kinds of circumstances, it can be difficult to find a professional locksmith that will accept a service call in the middle of the night or early on a Sunday morning. The specialists at QuickPro Locksmith always puts our clients first, and that’s why we always offer our services 24 hours a day, 7 days a week for Chamblee, Georgia area residents. Have you been locked out of your home, business or property? Then get help right away from the dependable local professionals at QuickPro Locksmith. Our mobile locksmiths will immediately load their company vehicle with all the equipment needed to get you where you need to be. Contact our office to discover how we can help you get back on track fast.